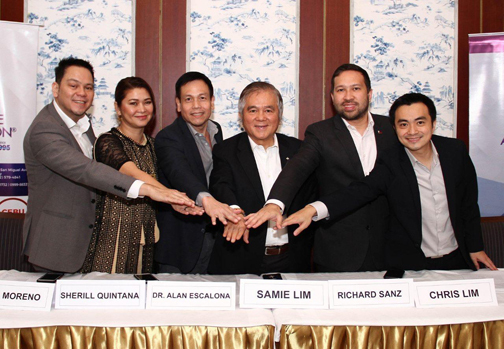 Philippine Franchise Association President Richard Sanz said about 30 Filipino brands have successfully penetrated markets overseas and that about a hundred more are expected to join the fold in three years. “We advocate Filipino franchises to go global. We want to see 100 of our brands in the international scene. These brands come from the mainstreaming of homegrown concepts. We have seen a lot of successful brands not only from Metro Manila but from the Visayas and Mindanao. It only makes sense for them to look for opportunities abroad. And when foreigners see these brands, they see the potential of these products in their home markets,” he said. This will be one of the focal points at the Franchise Asia Philippines 2019 on March 27 to 31 at the SMX Convention Center in Pasay City. In its 27th edition, the event continues to be the biggest franchise show in Asia with 13 participating countries showcasing more than 1,000 brands. About 20 percent of the brands during the show are foreign labels that seek entry into the dynamic Philippine market. Among the trends that PFA expects foreign brands to bring are the concepts of manless business models and experiencing death and reincarnation, two global franchising concepts that are starting to take roots in different markets. The expensive cost of maintaining manpower is the major push for the manless concept. Robotics and technological advancement provides a major support for manless establishments such as Amazon Go and manless convenience stores that started in South Korea. Using their cards, consumers need only to tap to enter the stores, grab their purchases and go. The data on their card allows for this kind of shopping set-up wherein the establishments capture the proper data needed to process their purchases and billed through e-wallet. The death and reincarnation franchise concept is a novel concept created to bring down the number of people taking their own lives. The participant has virtual experience while laying on a coffin for 30 minutes. Before that, he receives an inspirational message from a priest or a monk and gets to write his last will and testament. Another concept is the vendo machines. Vendo is not a totally fresh concept but it has always a dependable business model. Vendo, a Japanese selling concept, is now being franchised as well. Locally, franchising trends that are shaping the industry include DIY laundromat, specialty skin and beauty concepts, food parks, food strips, the renaissance of barber shops, the third wave popularity of milk teas, micro-finance, dialysis clinics, the rise of celebrity franchisors, among others. These are mostly homegrown ideas that captured the interest of franchisors. The franchise show continues to be a tool in promoting franchising as a business concept to many business owners and micro, small and medium enterprises. Sans said that franchising has evolved as a significant contributor to generating jobs for Filipinos. “From the moment PFA was founded, we have implemented a two-pronged approach of endorsing franchising as a strategy for growth for MSMEs and in encouraging ordinary Filipinos to take the path of entrepreneurship via franchising,” he said. Sanz said most pioneer franchisors are already preparing for the next of generation to take on the business. “In other words, franchising has not only shown itself as a catalyst in growing businesses but also a creator of legacies,” he said. PFA, he said, is bullish about hitting 25-percent growth to $31 billion in 2019 from $25 billion in 2018. One of the drivers for growth is the expanding middle class and their increasing ability to purchase goods and services. Another is the dispersal of jobs and development to areas outside Metro Manila such as Clark, Bacolod, Iloilo and Laguna. The third factor is the continuing growth of homegrown brands. PFA is also looking forward to bringing 100 more brands overseas by 2022. PFA is composed of more than 300 member-companies with at least 700 brands, combined. The group continues to mentor new businesses that want to expand through franchising.